This week, I have not gotten much knitting accomplished. I have not cast off any projects or cast on any new projects. It's that time of month, and during this time, I'm SO sleepy. Instead of fighting and trying to stay awake, I at least lie down, if not nap when Charis is taking her nap. Which means, knitting is put on the back burner; though, I have been able to work a few rows on the Splendid Triangle Shawl. House work and school work go on and take priority. Hopefully next week, I'll actually be able to post pictures of finished results. I am reading Esther and listening to sermons on Esther. I watched One Night with the King, and they definitely took lots of liberties in telling the story of Esther and added many things not in the Bible. I know what you mean about being sleepy. Just yesterday I cast on for the Neck Down Cardi Wrap from Knitting Pure & Simple (it's in my queue yet, haven't started the Rav project page for it) using my own handspun yarn. I put this off for over 2 years. After all, so long as I don't use the handspun, it will always be there to use, right? 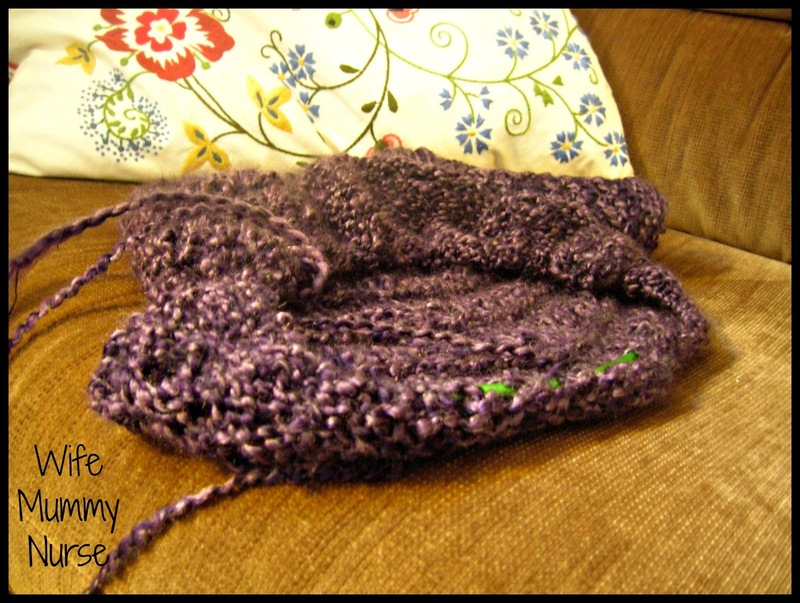 If it knit with it, the knitting might not turn out right and might spoil the yarn. This is the same reason I have a fabric stash, yarn stash, and fiber stash. If I don't use it, it will be there when I want it. I'm really trying to get over this senseless mental block. I always wanted to learn how to knit. I crochet but I'm not good at it. I can do it if someone shows me but I can't do it if I have to read it.